� 1 3/8" Wide Belt. 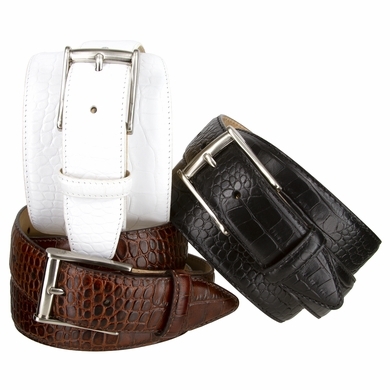 � Italian Alligator embossed Calfskin Genuine Leather. � Available in black, brown, charcoal, white and navy. Buckle changeable. � 7 holes to adjust to your size.